Capping a two-win day on Saturday at Saratoga, led by Diana winner Sistercharlie, trainer Chad Brown was in good spirits Sunday morning, reporting that the 4-year-old Irish-bred was in fine fettle the morning after earning her second Grade 1 win of the year. 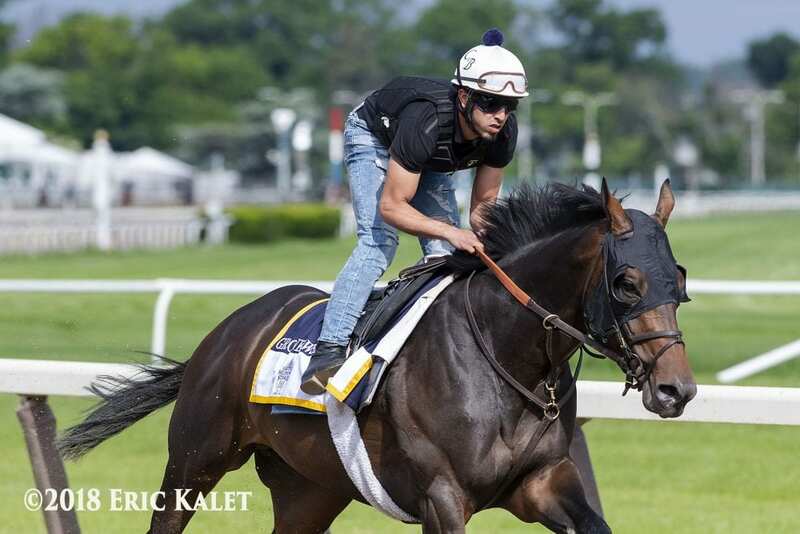 Brown also said Belmont Stakes runner-up Gronkowski came back from his workout Saturday in good order, as well as graded stakes winner and fourth-place Kentucky Derby finisher Instilled Regard, who breezed three furlongs in 37.88 seconds on Saturday in his first workout since being transferred to Brown for an East Coast summer campaign. Saturday's breeze was the first for Gronkowski since June 23. Despite the setback, said Brown, the Lonhro colt, who finished 1 ¾ lengths behind Justify in his Triple Crown-winning Belmont Stakes effort, is still on target for the Grade 1, $1.25 million Travers on August 25. Brown said graded stakes winner Backyard Heaven, who worked five furlongs in 1:01.77 on Saturday, remains on target for a start in the Grade 1, $1.2 million Whitney on August 4. Purchased privately by owner Peter Brant after beginning her career in Europe, Sistercharlie made her first five career starts in France, posting a win in the Group 3 Prix Penelope in June 2017 at Saint-Cloud Racecourse. Making her first start for her new connections in the 2017 Grade 1 Belmont Oaks Invitational, where she finished second, the Myboycharlie filly followed with a victory in the Grade 1 Jenny Wiley on April 14 at Keeneland and a second-place finish by a neck in the Grade 2 New York on June 8 at Belmont before earning a return trip to the winner's circle in the Diana, besting 15-1 longshot Ultra Brat by a neck in the final jumps. Brown also saddled multiple graded stakes winner A Raving Beauty, who was checked at the quarter-pole but rallied late to finish third, and New Money Honey, who finished sixth. Brown reported both in good condition coming out of the Diana. This entry was posted in NL List, Racing and tagged backyard heaven, Chad Brown, gronkowski, Lonhro, saratoga, sistercharlie, travers, Travers Stakes by NYRA Press Office. Bookmark the permalink.